This is one of my favorite photos I've ever taken of Sophie. 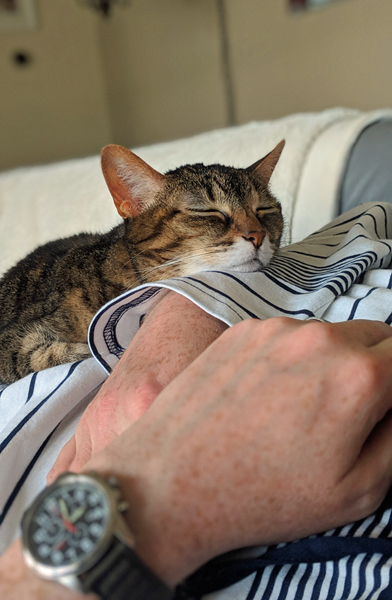 It so perfectly captures her essence, as she contentedly naps on Iain's tummy, probably dreaming about that time she napped on my tummy. She is just the sweetest, cuddliest, delightful wee cat, and I'm so lucky to share this life with her.